The first weekend of December brought the Southeastern Conference (SEC) football championship game to Atlanta. The 2018 meeting between University of Alabama and University of Georgia on Saturday, Dec. 1 drew in more than 77,000 fans to the city. Following the SEC Championship game, Atlanta’s latest sports franchise, Atlanta United FC, topped the Portland Timbers 2-0 on Dec. 8 for the team’s first appearance and win in the MLS Cup. Atlanta United set records for home attendance with more than 900,000 fans filling Mercedes-Benz Stadium over 17 games. The team’s accomplishments also include finalists for the MLS Most Valuable Player, Defender of the Year and Coach of the Year. Dec. 15 welcomed the fourth-annual Celebration Bowl matchup between the Mid-Eastern Athletic Conference (MEAC) and Southwestern Athletic Conference (SWAC). The bowl, sponsored by Air Force Reserve, celebrates the pageantry and history of Historically Black Colleges and Universities. North Carolina A&T defeated Alcorn State in the school’s second-consecutive Celebration Bowl victory. The year ends with the Chick-fil-A Peach Bowl Dec. 29. The game is one of the New Year’s Six bowls and is included in the rotation for the College Football Playoffs. This year’s game sold out prior to the team selection, marking the 20th time the bowl has sold out in its 22-year history. Attendance is estimated at 73,000 with $45-50 million in economic impact as University of Florida faces University of Michigan. 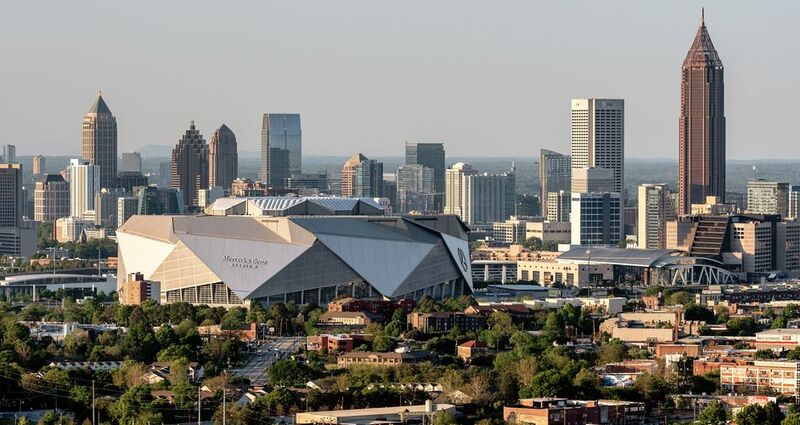 Atlanta shifts into high gear as it prepares for Super Bowl LIII Feb. 3, 2019. This marks Atlanta’s third Super Bowl and is expected to attract more than 1 million fans to the city for the week-long celebration.